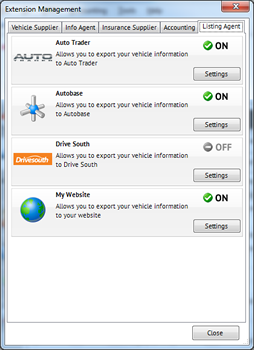 Motorcentral allows for the exporting of your vehicles through to Auto Trader. You will see a list of your current Exporters. 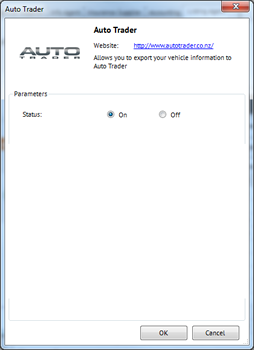 Select the DealerPoint (Trader Group) option from the list on the left (see below). 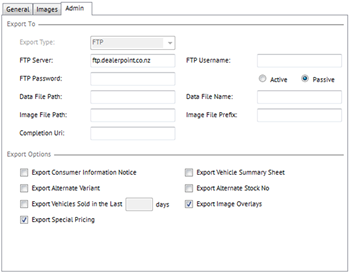 Next click on the Admin tab to begin configuring the Exporter. Select the options that you require. Export Special Pricing – Sends the Special Price field from the Administration tab over to Auto Trader.